Extravagant bridal eye makeup looks to add to the charm of your wedding day! 10 *Different* Eye Makeup Looks Every Bride-To-Be Would Love! 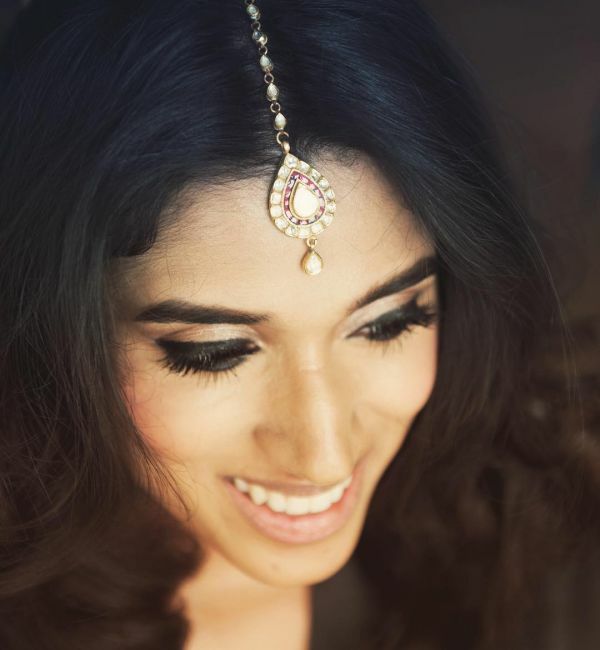 Your bridal eye make-up is just as important as your wedding lehenga or the jewellery. 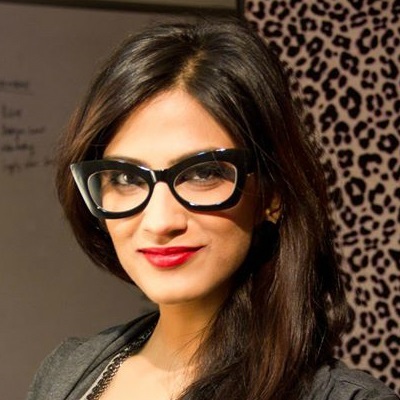 And everyone attending your wedding will be waiting with bated breath to see you all dolled up as a bride. 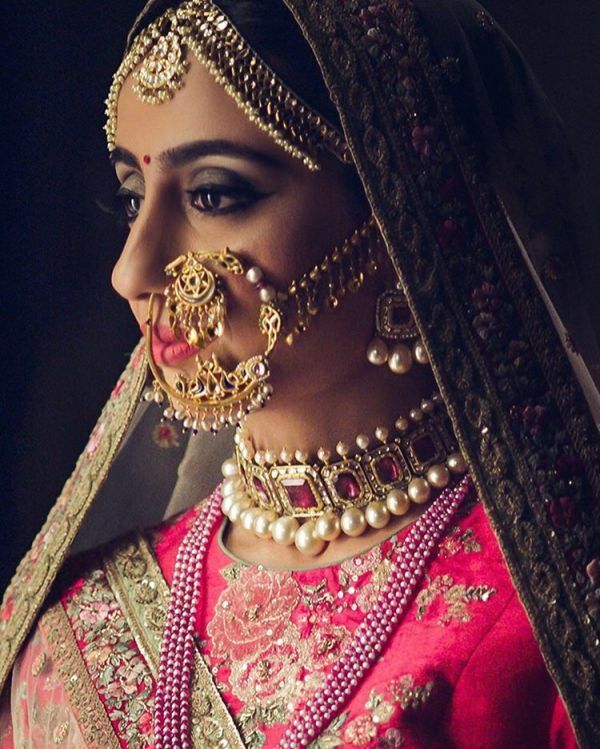 So ladies, as you prep and plan for the big day, we have some real bridal make-up inspiration for you. We searched through our pictures for the most stunning and bold eye make-up looks...and here are our favorites. For the bride who wants her eyes to do all the talking, this is just what you need. 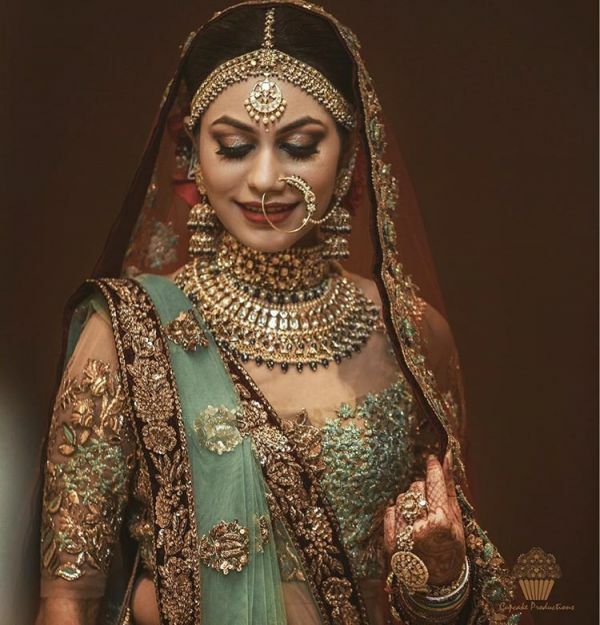 Image: Morvi Images on Instagram Gold eyeshadow has been a favourite with brides for long but it looks even more fab when you have a smokey effect going on in the outer corners. Tons of mascara, thin eyeliner and you have one bold and beautiful wedding eye make-up look. Image: WeddingNama on Instagram Want to keep the glitter away for your day wedding? 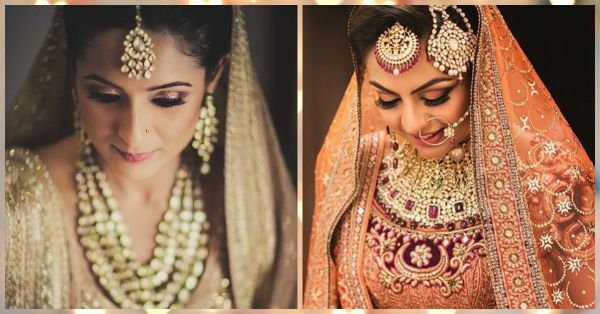 Take inspiration from bride Mitali’s fab bridal eye make-up that's all about metallic brown shadow extended all the way out, and those super defined lashes. Such a stunner! Image: Cupcake Productions on Instagram We have to give it to the bride for carrying off bold brows so well. Also, we notice a hint of sea blue glitter as part of the wedding eye make-up to match her blouse and dupatta. A great way to add some colour without actually going all out. Image: CoolBluez Photography on Instagram Defined lashes and a winged liner, that is what this bridal eye make-up look is all about. But the bride went a step ahead and chose to add some glitter to her dramatic eye make-up. And we have to admit, we’re totally crushing over it! 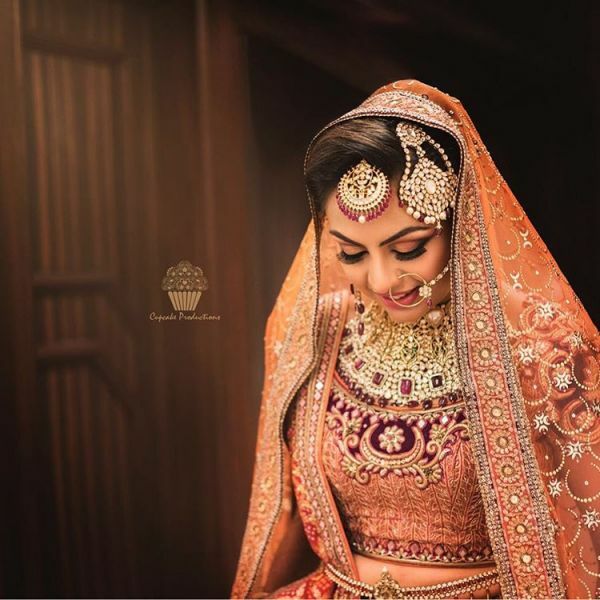 Image: Morvi Images on Instagram The rose gold bridal eye make-up look is the first thing that caught our eye, and ladies, it does look absolutely gorgeous! 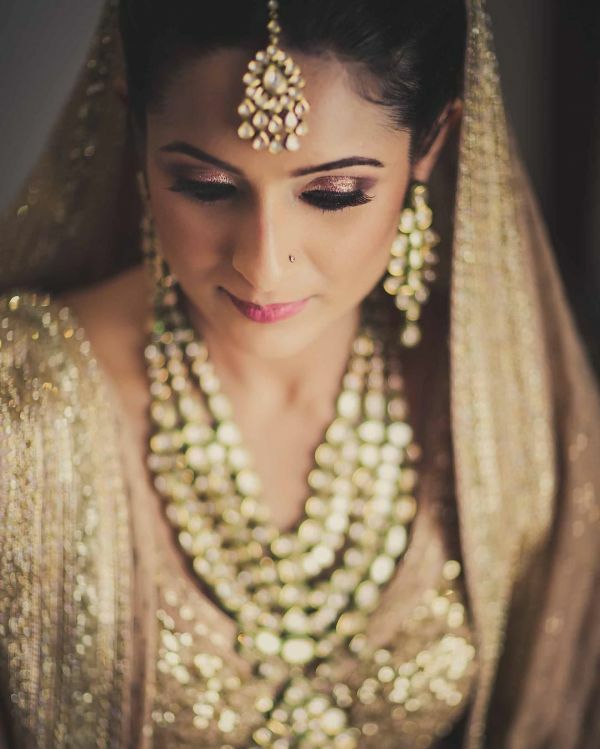 Don’t be afraid to go all out with the glitter, because this bride sure is doing a great job with it. Image: Cupcake Productions on Instagram We’re loving the layers and layers of mascara in this wedding eye make-up look! And the subtle orange hue to match her bridal lehenga. If you’re not big on the eyeshadow, mascara is a great way to make your eyes stand out and look just wow. Image: Cupcake Productions on Instagram For your bridal eye make-up, go in for the ultimate smokey eye look for your big day. 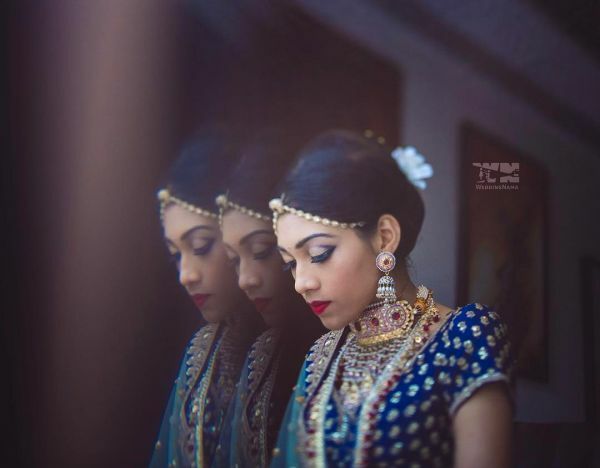 And this beautiful bridal picture is sure to inspire you. Go heavy on the eyes, keep the rest of the make-up minimal and there you have it, a bridal look like no other. 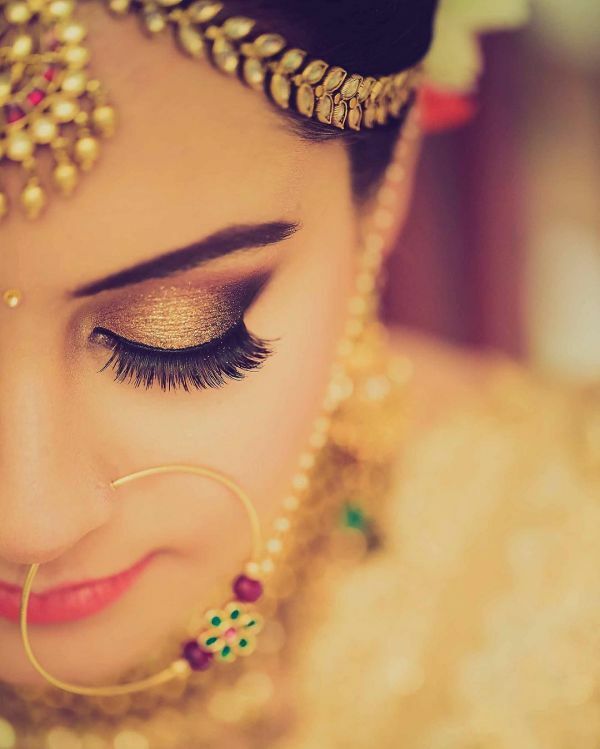 Image: Dhanika Clicks on Instagram We loved this bridal eye make-up for that bold eyeliner. A thick stroke with a slight wing is just what you need when you want your eyes to look mesmerizing. Perfect for the unconventional bride. Image: WeddingNama on Instagram Want to go edgy and bold with your eye make-up? Opt for the dramatized eyeliner style that traces your crease to give you a look like no other. It’s stylish, it’s edgy and it’s definitely not the typical style that we’re used to seeing. 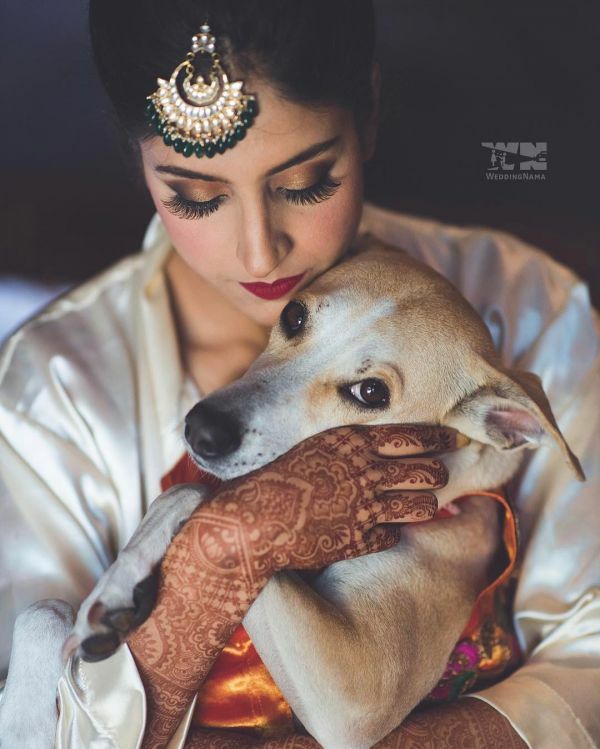 Image: Bhumi & Simran Photography on Instagram For a hint of traditional and bold bridal eye make-up, opt for the ever gorgeous combination of bronze-gold and a thin stroke of eyeliner. It looks stunning and one can never ever go wrong with it. 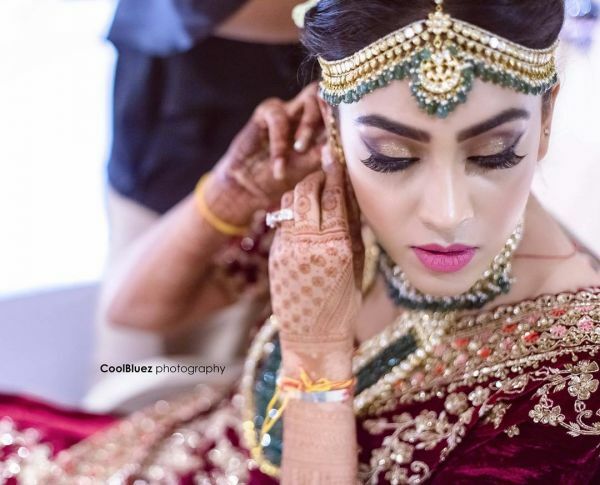 Don’t you just love this bride’s striking eye make-up?